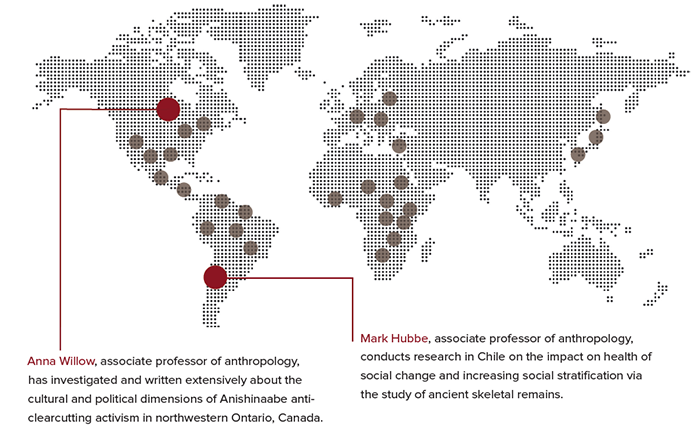 The Ohio State University Department of Anthropology offers educational and research opportunities through teaching and other activities in physical or biological anthropology, archaeology and cultural anthropology. Our empirical and scientific orientation emphasizes teaching and research in evolution, ecology, diet, adaptation and health in past and living societies. Prehistory of indigenous peoples; ethnobotany, social behavior and communication in non-human primates; forensic science; bioarchaeology; health; evolution, ecology; primate anatomy and evolution; skeletal and dental biology; environmental impact on primates and humans. Faculty and student research is conducted around the world, from Medieval Tuscany to Fiji and from the African pastoral systems of Cameroon to the earliest city in the world at Catalhoyuk, Turkey. 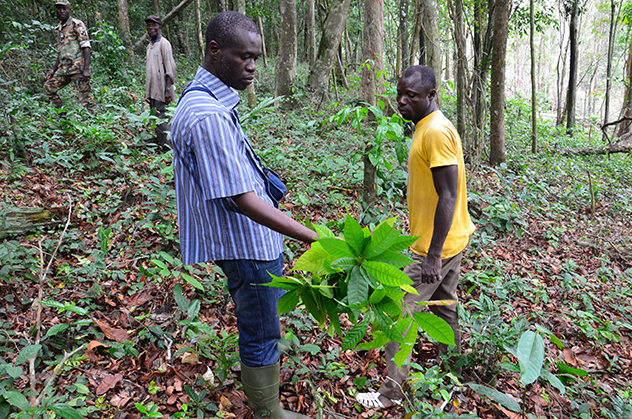 W. Scott McGraw, professor and director of the Taϊ Monkey Project, in Ivory Coast, Africa, is co-author of a new study finding that endangered primates in national parks and forest reserves of Ivory Coast — the largest producer of cocoa beans — are facing extinction because of illegal cocoa farms. Thirteen of the protected areas studied have lost their entire primate populations, while another five had lost half of their species. THE DEPARTMENT HAS INTERNATIONALLY RECOGNIZED EXPERTS IN EVOLUTION, ECOLOGY AND ENVIRONMENTAL IMPACT ON PAST AND LIVING PRIMATES AND HUMANS. Faculty and their students conduct research around the nation and across the world on the ecology of infectious diseases, primate behavior, the origins of agriculture, forensic identification and much more — anthropology is a global discipline.